In Fedora 8 we had a feature of adding BuildID Support. 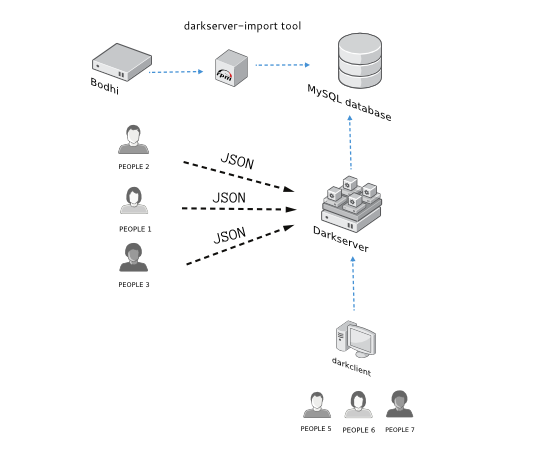 Darkserver is a service written to help people finding details of build-id(s). People will be able query the service based on build-id(s) or rpm package names. The service will provide output in JSON format as it will be easier for other tools to parse the output. There is darkserver-import tool which can be used by a service like bodhi to run it against each package pushed through. It will populate a MySQL database with the details of build-id and ELF file details. The Web service is written in Django. Package review is currently going on. Code base is in github. There is a client called darkclient which will query the service and print the output in a way so that it will be easier for shell scripts to parse it.